Sean Baker’s last film, Tangerine, is one of the best movies of 2015. (It’s also on my list of best movies of the 21st century so far.) Crushing and hopeful, and shot on an iPhone, the story of two transgender prostitutes trying to find a pimp on Christmas Eve is gorgeous and moving and should be required viewing. Based on nothing more than that, I’m all in on his follow up, The Florida Project. And A24 doesn’t often steer us wrong. And then it went and dropped this first trailer and I can’t even. In general, I’m not a fan of movies about/starring young kids (though I’m admittedly a sucker for a good coming of age tale). I don’t have a paternal bone in my body (unless we’re talking about dogs), and that comes through in my taste in movies. But this The Florida Project trailer is the sweetest, most beautiful thing I’ve seen in forever. It’s going to get me all weepy, I can already tell. The Florida Project looks like it captures the magic and wonder of childhood, where even a dumpy purple motel can be a fantasy land. That little girl, six-year-old Brooklynn Prince, may well be one of those kids who shows up and get a bunch of award nominations come the end of the year. And isn’t it nice to see Willem Dafoe not playing a creepy weirdo? I feel like it’s been a while since that’s happened. 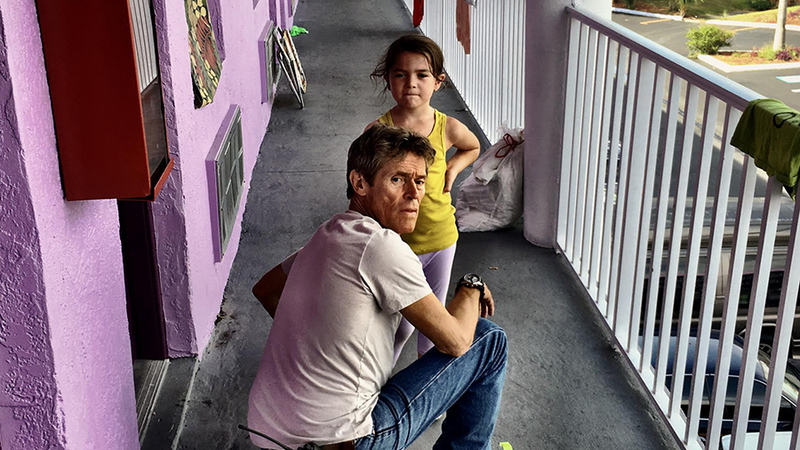 With The Florida Project, Sean Baker gives life and a voice to a community rarely seen on screen. Through the winsome eyes and pained glances of Moonee, Halley, and Bobby, Baker has created a spellbinding and transformative portrait of contemporary lives lived in the margins that are otherwise too easily forgotten. 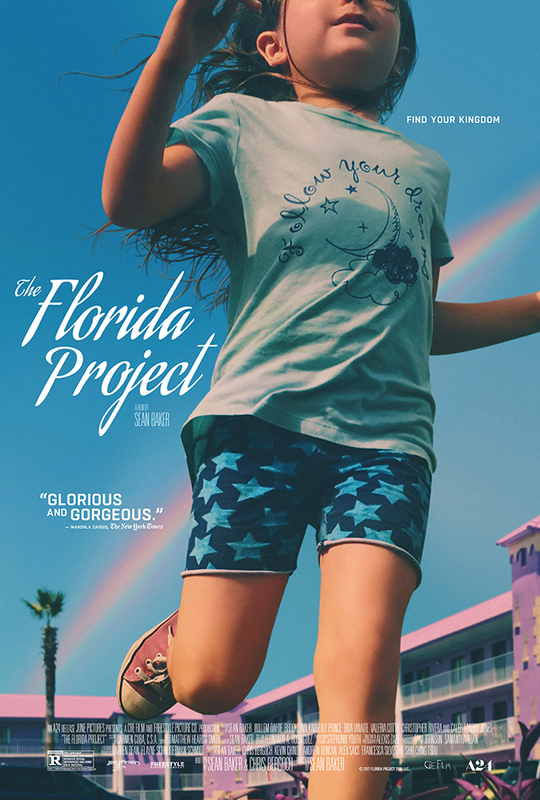 The Florida Project declares, boldly and proudly, that anywhere can be a Magic Kingdom – it just depends on how you see it. I was excited for The Florida Project already, but now I can hardly wait until it opens on October 6. Take a gander at a new poster below.